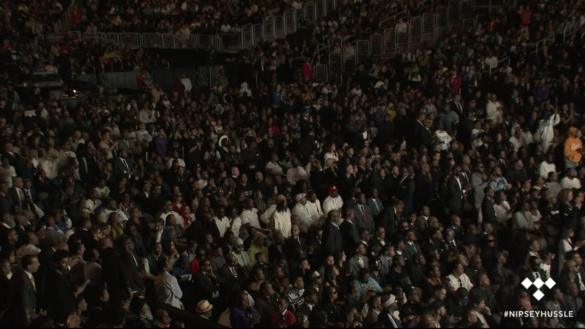 There were many prolific moments throughout the service, including Nipsey’s publicist and longtime friend, Karen Civil, who read a letter that former President Barack Obama wrote to the family. There were musical tributes that showcased the service and life that Nipsey lived. 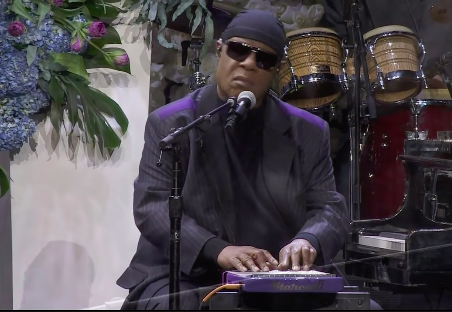 Performers included, Marsha Ambrosius, Anthony Hamilton, Jhene Aiko and Stevie Wonder who closed out the ceremony with one of Hussle’s favorite songs. The service was truly a celebration of life and comfort. Family, friends and the community were comforted by words of encouragement from Hussle’s mother, Angelique Smith. Smith’s strength is unmeasurable. Rap mogul and friend Calvin “Snoop Dogg” Broadus acknowledged her strength. She was strong for everyone. 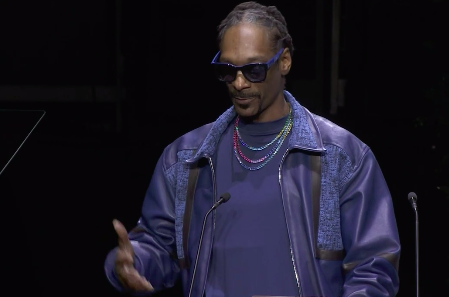 “He had vision for me that I didn’t even have for myself,” Snoop said when mentioning the type of impact that Nipsey had on his life. Other notable influencers that spoke included: Louis Farrakhan, Father Thomas Uwal, Snoop Dogg, YG and Anenon Bowie (homegirl of Nipsey). 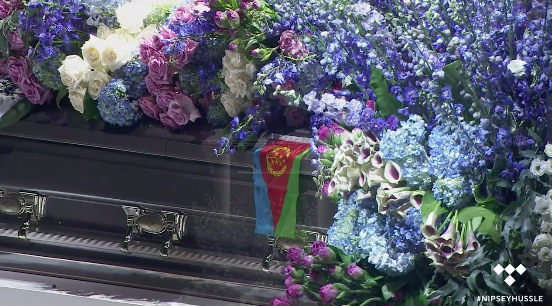 Family members that spoke were Dawit Asghedom (Nipsey’s father), Samiel Asghedom (Nipsey’s brother), Samantha Asghedom (Nipsey’s sister), Lauren London (Nipsey’s longtime girlfriend and child’s mother), and Cameron Carter (Lauren’s son). The eulogy was read by Pastor Shep Crawford and the obituary was read by Adam Andebrhan. Immediately following the service, a 25-mile processional stretched throughout the city passing by popular landmarks, which included Nipsey Hussle’s, The Marathon Store, which is located at Slauson and Crenshaw. Nipsey and his brother own the lot that the store sits on. It is without question that “The Marathon” will continue. 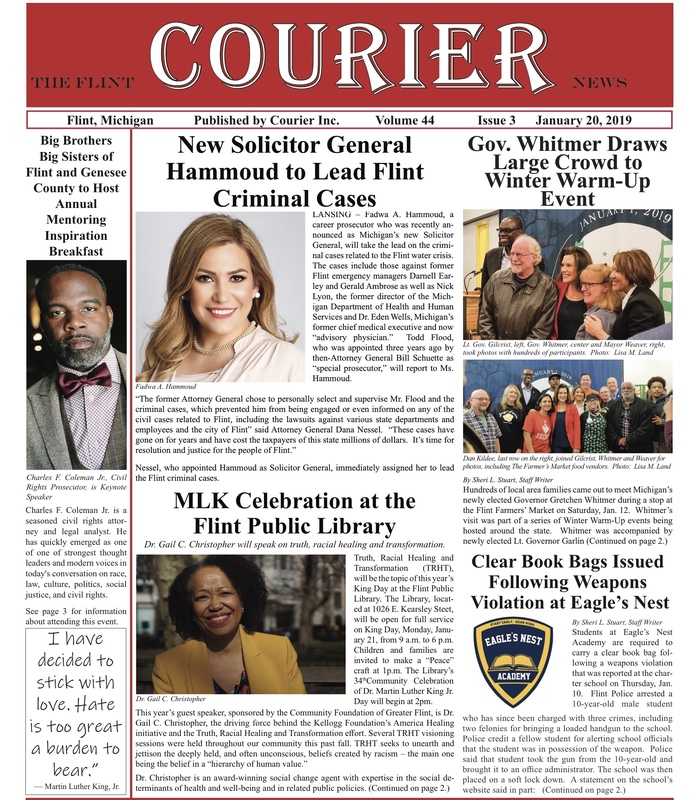 Naomi K. Bonman is the West Coast Correspondent for the Flint Courier. 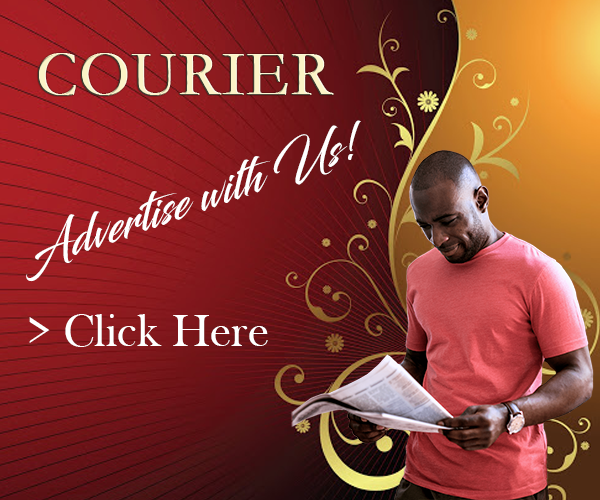 She is a Journalist, Screenwriter, Producer, Radio/Podcast Host, and overall media professional. She has been covering a variety of beats for more than 11 years, including entertainment, fashion, social justice, community, sports, health and education.